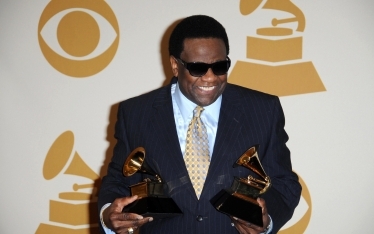 Careful listeners can instantly recognize Al Green’s “Tired of Being Alone” iconic early 70s soul sound from the timbre of the first horn section hit, a classic recording copyrighted way back in the year…2003, at least according to the US District Court of California’s recent ruling. Last year, ABS Entertainment sued CBS Radio for unauthorized use of ABS’s sound recordings prior to February of 1972. CBS’s defense was viewed as a gamble — they argued the remastered versions of pre-72 recordings were derivative works with separate copyright protections. Following this logic, radio stations owned by CBS Radio had been exclusively playing copyrighted sound recordings dated after 1972. Earlier this month, the court agreed with CBS Radio. Why does that matter? Currently, terrestrial radio stations do not have to pay royalties on sound recordings made after February 15, 1972 — although that would change if the Fair Play Fair Pay Act were passed. Why 1972? In 1971, Congress created a copyright in sound recordings, but did not retroactively grant the right to sound recordings released, prior to February 15, 1972. As always, we need to note this case only involves the copyright for sound recordings (which generates royalties for performers and sound recording copyright owners including labels), not musical compositions (which generate royalties for songwriters and publishers). The ruling comes on the heels of a slew of cases involving labels suing internet and satellite radio for infringement of pre-72 sound recordings which we discussed in general here, then specifically with the Pandora and SiriusXM settlements. At the heart of these cases is the absence of a defined federal copyright for works prior to 1972 coupled with spotty state laws loosely defining possible protection for these works that vary from state to state. In ABS v. CBS, U.S. District Court Judge Percy Anderson implicitly agreed with the previous cases that found webcasters were infringing on pre-72 works, but because CBS Radio played derivatives created after 1972, the broadcaster was not required to pay royalties. CBS’s unconventional defense hinged on the creativity of the remastering process. If sufficiently creative, a remastered work would then qualify for a new copyright as a derivative work. Remastering involves creative decisions about EQ, compression, reverb and a host of other aural details. Using this logic, because the threshold of creativity for obtaining a copyright is low (see the ubiquitous Feist ruling if you want to know why), decisions made in the remastering process could be considered to meet the threshold. CBS provided expert testimony from acoustic analysts and sound engineers to support the creative decisions made throughout the process. This defense is not a new conceptl legal circles have batted around the argument for decades. But Pandora and SiriusXM had no grounds to use this defense in their own lawsuits, because they were not paying SoundExchange for pre-72 recordings, something they would have done had they considered the remastered versions post-72. While courts have not addressed remastered recordings until now, a few prior cases relate. Maljack Productions, Inc. v. UAV Corp. found the manipulation of a monaural soundtrack into a stereo track to help define a new derivative work, but both the film and soundtrack were also drastically altered, so the ruling wasn’t based on just the remaster. Movie studios have also been granted new copyrights for colorizing black-and-white movies. Midway Manufacturing Co. v. Artic International found a sped up version of a video game constituted enough creativity to be considered a derivative work. None of these directly implicate remastered recordings alone as newly copyrighted works, but they are not too far off. What is protected in a derivative work? Section 103(2) of the Copyright Act states a derivative work is “independent of, and does not affect or enlarge the scope, duration, ownership, or subsistence of, any copyright protection in the preexisting material.” Copyrights for derivative works only cover the new material added by the work, not the original for which it is derived. This ruling found the altered sound of the recording as the creative contribution, but the creative portion of the work could just as easily be considered the added reverb and noise from the signal chain in isolation. The ruling also begs the question: who is the author of the derivative work? The sound engineer? If so, will they be able to reclaim their remasters 35 years from now? There are a lot of questions without a lot of answers right now. The implications of this ruling on creators could be significant, but it is still too soon to tell what will actually happen next. We’ll focus on a few hypotheticals: perpetual copyright and another barrier to termination rights. If remastering creates a newly copyrighted derivative work, the copyright holder (usually a label) could remaster a work repeatedly, effectively giving a perpetual copyright through the latest incarnation of a recorded work. The court disregarded the possibility of continually extending copyright through derivative remasters, but given that the derivative works involved in the ruling reflected a version the entire original work, something close to a perpetual copyright is not out of the question. FMC has been talking about the right to terminate for years. If you want to learn more about termination rights (or copyright reclamation), see our fact sheet, but essentially, the right to terminate allows authors of creative works to reclaim their copyrights after 35 years. However, the procedure to reclaim copyright can be confusing, arduous and must be concluded within a specific timeframe. Most pertinent to this situation — the right to terminate does not cover derivative works. This means if the remastered work in question were a derivative work, the original reclaimed copyright would not limit the use of the remastered work. The creator would be renegotiating with a label to license their reclaimed work while the label owned a remastered version of the same work. Alternatively, the original author could have their reclaimed work remastered and compete with the label’s remaster of the original work. Either way, the value of the original work is diminished (which is contrary to the CRB’s perspective). There is no database of remastered songs and it is often difficult to determine which version of a song is being played, even with careful comparison. While this might be great news for CBS Radio currently, it is bad news for artists wishing to get paid, and potentially wishing reclaim their work. The ruling is potentially a major blow to record labels with large back catalogs of pre-72 recordings. After the SiriusXM and Pandora settlements, the courts appeared primed for more infringement suits using state law to garner hundreds of millions from broadcasters. This suit gives broadcasters another avenue of defense, but it is not clear whether the defense will hold up in other courts or at appeal. In short, making policy in the courts is costly and unwieldy. An easier solution is to revise the copyright statute to include pre-72 recordings while also mandating broadcast radio stations pay performance royalties. Not only does this stop the multitude of lawsuits, but funnels the money through SoundExchange, who distributes money directly to creators instead of a label reaping the rewards of settlement, then doling out money to artists themselves, based on their own potentially flawed accounting. Judge Anderson’s ruling suggests every individual remaster would require scrutiny to determine its eligibility as a new derivative copyrighted work. While the decision still lays down a precedent potentially emboldening major labels to explore exploits, maximizing gains from their intellectual property, the RIAA has already written a letter carefully siding with ABS and requesting the opportunity to submit an amicus brief, arguing that “creation of a derivative work cannot limit the scope of protection of the underlying work” And remember, this is only one ruling for one part of the country that will almost certainly be appealed. While the ruling could be a framework for other court decisions, it could also be an anomaly. Still, the ABS v. CBS ruling exemplifies the need to fix the pre-1972 problem once and for all. All of the hypotheticals, unknowns, inevitable appeals and subsequent court cases could be avoided.